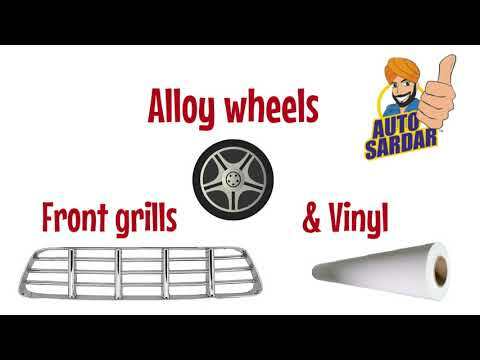 ﻿ Autosardar- A Change in Auto Wash in India ! Due to the very evident global catastrophic climate change, water shortages and tightening environmental legislation there is an ever increasing demand for sustainable solutions that will help prevent further impact on the environment. Having identified that there has been a significant shift in global needs with the increasing demands and resounding emphasis for the development of smarter and more sustainable Eco-friendly solutions, through our combination of scientific expertise, ISO 9001 & 14001 accredited procedures and innovation in chemical technology, Autosrdar® have proactively responded to ensure that we are at the very forefront in the manufacture of the very latest innovative and cutting-edge environmentally-friendly waterless vehicle cleaning solutions. We pride ourselves on supplying ground breaking technical expertise on environmental carbon reducing products that dramatically prevent precious water and energy consumption throughout the world. We take an holistic view on low carbon practices throughout the economy from the way water and energy is generated, transported, consumed and subsequently culminating in the formalisation of our professional waterless wash system that not only saves water, energy, product use and therefore importantly saving your costs and carbon footprint, it also saves on detailing time and helps with the speed of throughput in commercial cleaning operations. Autosardar fully embraces that “It should not and unequivocally must not cost the Earth to wash a vehicle” and so providing this information it will hopefully provide a clearer picture of how collectively we can all save precious water consumption, prevent pollution and increase energy reserves whilst cleaning and polishing cars. You may be aware that service centre , fleet services, commercial car wash operations through their business demands all unfortunately have the tendency to use vast amount of water in their wash bays when cleaning clients vehicles wasting many 1000′s of gallons each day. Many traditionalists and enthusiasts are hesitant about switching to waterless products as they believe how can they be as good as the old traditional wet wash system, so here we would like to cover the top five misconceptions about waterless washing and hopefully we can convince you to give them a try. 1. 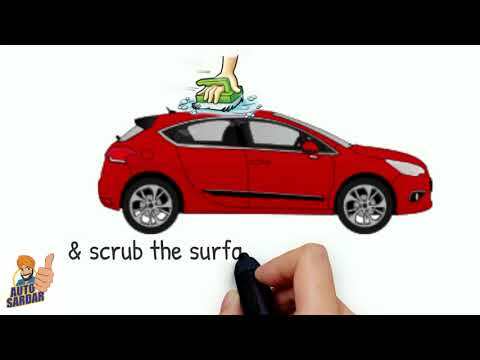 Do waterless car wash products scratch the paint surface of the car? Definitely not and like with any vehicle washing it is just a matter of technique in using the correct application method together with a quality microfibre cloth, the product itself will not scratch the car. A very simple and efficient process using two microfibre cloths you simply spray onto one cloth and onto a panel of vehicle, gently rub and buff using second cloth to a brilliant mirror gloss shine, repeating until the whole car is not only clean but also highly polished and shiny. The only time water is ever required is if the vehicle has mud or sand stuck to the skirts which can be simply rinsed or steamed off from that localised area before applying the waterless product. Consider the implications of conventional washing with a dirty sponge, microfibre cloth and chamois leather revisiting the same area of the car many times and definitely increasing likelihood of scratching the paint surface. 2. Are waterless car wash products bad for the environment? 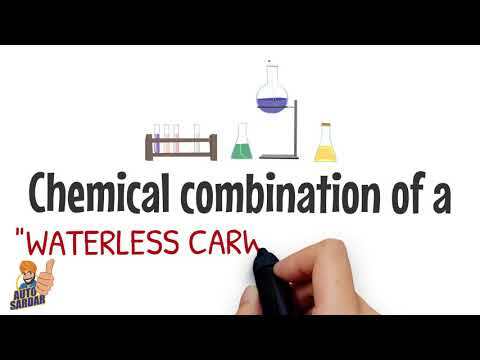 Definitely not as all Autosardar waterless products contain no hazardous ingredients like those contained in most conventional style products such as petroleum, acids, solvents etc. which all have environmental impact and in addition there is no run-off from waterless washing as there is no rinsing involved unlike the thousands of gallons of contaminated waste water that potentially goes directly into water ways when using traditional bucket-and-hose method washes. Also all Autosardar waterless products contain no Volatile Organic Compounds. 3. Do waterless car wash products clean as well as using conventional shampoo and water? 4. Why is it considered waterless if you have to clean the microfiber cloths in water? 5. Are waterless products more expensive than soap and water? Waterless car wash products can be used in more than just surface cleaning as not only do they clean but highly polish and wax protect all in one with the simple process of spray, wipe and buff panel at a time until all the vehicle is complete; saving you money on car care products as well. Whereas conventional washing involves using many different products and revisiting the same area of the car many times to rinse, shampoo, rinse again, chamois leather and then wait for paintwork to dry before you can even consider applying any wax. In addition it is very important to understand that by law commercial operations have to ensure sure that none of their waste water is going where it shouldn’t. So hazardous products such as thinners, coolants, effluent, vehicle-cleaning detergents and oily waste water, etc. must be treated before entering the sewer system. Certain waste liquids are classified as “traceable”, which means they require special monitoring and reporting with special disposal procedures. These include oils, transmission fluids, batteries, solvents, paint waste and oil and fuel filters, unless flushed and drained of oil. Traceable liquid wastes must be disposed of by a licensed contractor for recycling or reuse. So having weighed up all the facts we are certain you will agree it is now time for “Out with the OLD” method of washing cars which throughout the world on a daily basis wastes millions of gallons of water (on average 116 gallons per car wash), rinse off effluents potentially contaminating waterways, toxins pumped into the air from kerosene driven cleaning machines, the potential of huge hard plastic roller brushes scratching paint surfaces and water pumped at high speed through energy sapping pressure washers finding its way through body work seals and door rubber seal.